Just 85 minutes from Shinjuku. 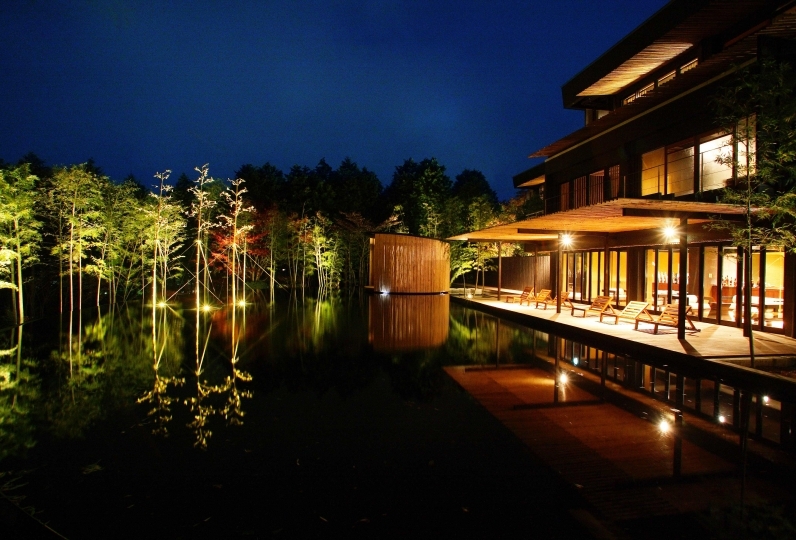 「Hotel Okada」 sits at the foothills of Yusakayama mountain and is a relaxing hotel surrounded by nature. At Hotel Okada, there are 5 hot spring sources. From the springs, we draw in 270 liters of water per minute, or 390,000 liters per day. Surrender yourself to the water ripples that feel as if you are in the ocean and enjoy this hot spring paradise. 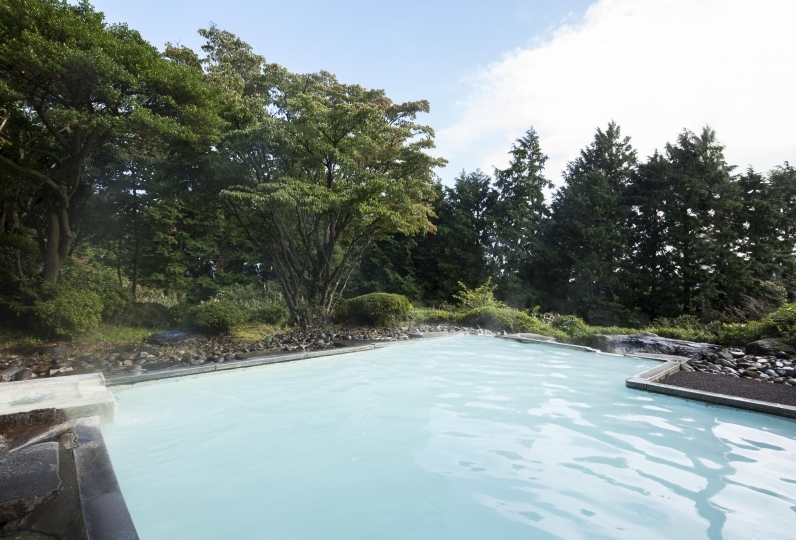 We offer 13 onsens, including our large indoor bath in the bathhouse, our foot bath that looks out at Yusakayama mountain, and our outdoor bath that is surrounded by Hakone's nature. If you listen carefully, you will hear the birds chirping in the background. We offer various room types, including a relaxing and peaceful Japanese style room as well as a functional Japanese-Western style room. 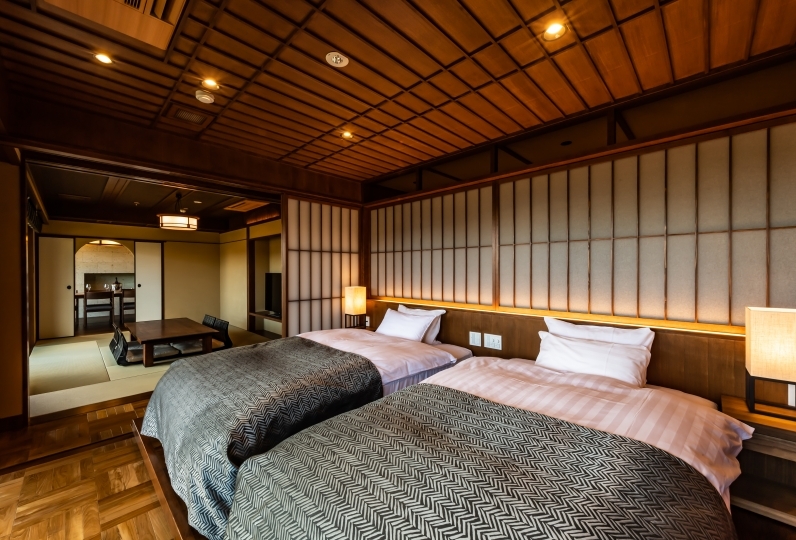 Our guest rooms 「Suisai」, 「Yuan」, and 「Senyu」, which each have a different theme, come with its own spring fed bath so that guests can enjoy the onsen as often as they like in their private space. 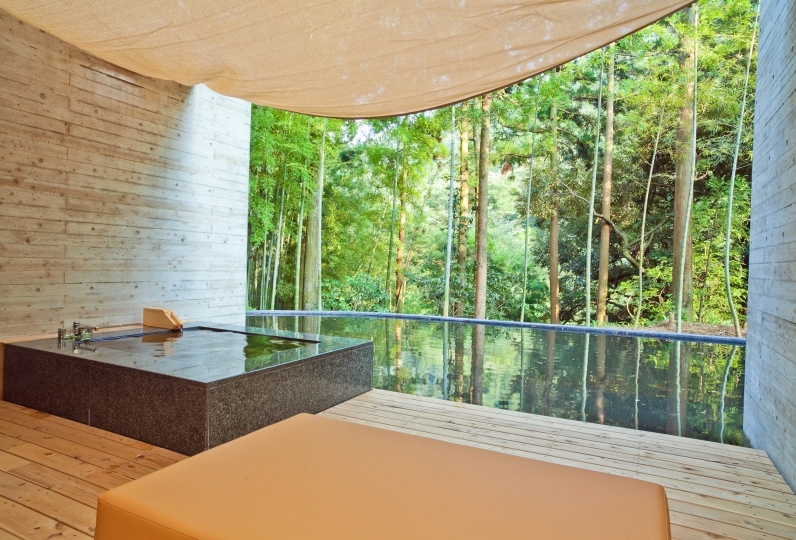 Escape the hustle and bustle of the city and experience a truly relaxing time in Hakone. Enjoy our heartfelt seasonal kaiseki cuisine that is prepared by our head chef using local, seasonal ingredients and carefully selected ingredients from the sea. 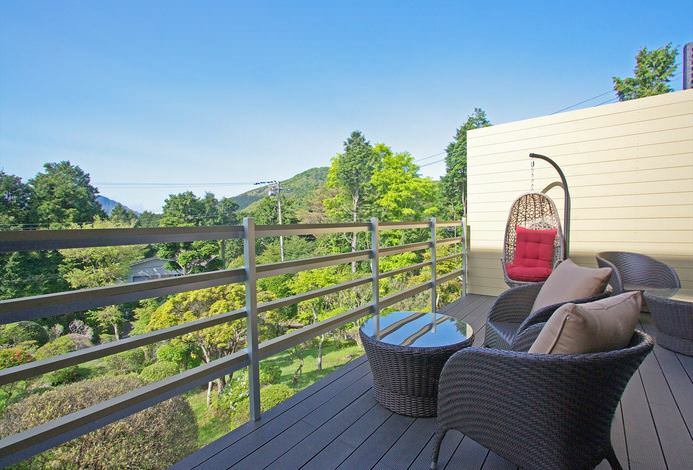 Watch as the sunlight bounces off of the fresh greenery and let your heart flutter like little birds playing in the forest. Enjoy the sense of freedom and time of relaxation. The room was clean and satisfying, but it was good as we could spend quietly during the meal and had a relaxing time. Because it was my birthday, when I checked out, I got sweets as a souvenier and a presentation from the staff, I was very happy so thanks, thanks a lot for your satisfaction, thank you It was. It was a 3 month old child, but the service was perfect and I enjoyed it. 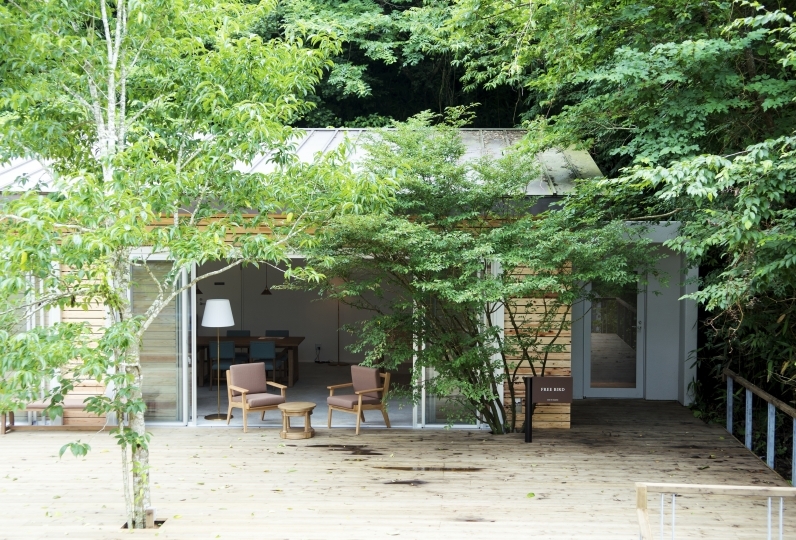 Depending on the selected plan, meals will be served in the guest room or the restaurant (Japanese Dining Yamazakura). Please see specific plans for details. 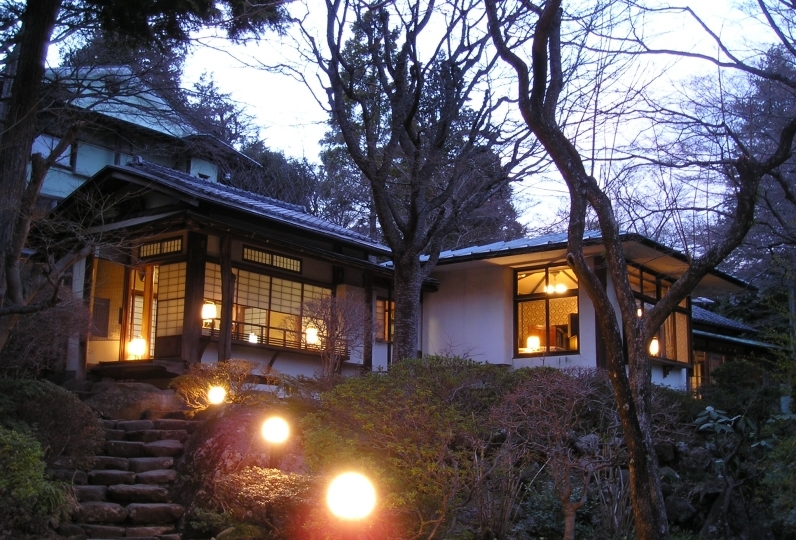 ※Japanese Dining Yamazakura allows guests from ages 3 and up. Children between the ages 0 and 2 are not allowed. Hotel Okada has 5 hot spring sources, providing 270 liters of water per minute! 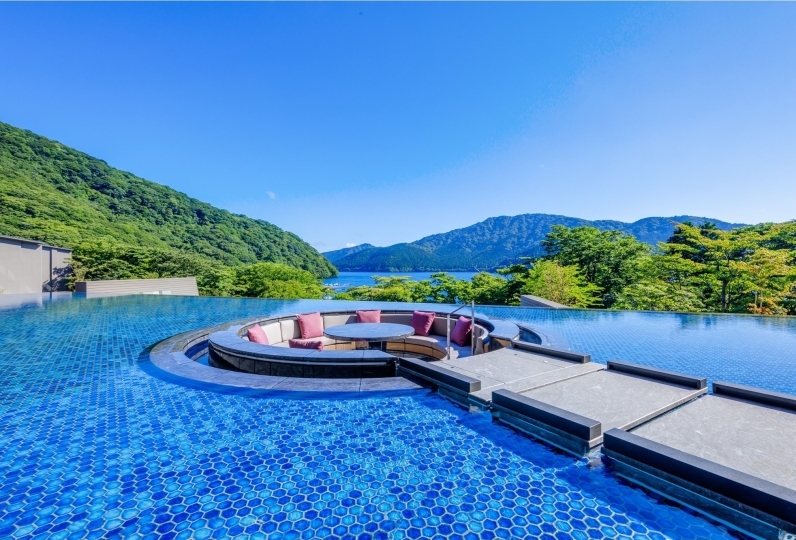 In addition to the abundant hot spring water, our bathhouse provides a wide open space with a view of the Hakone mountains and various types of baths. 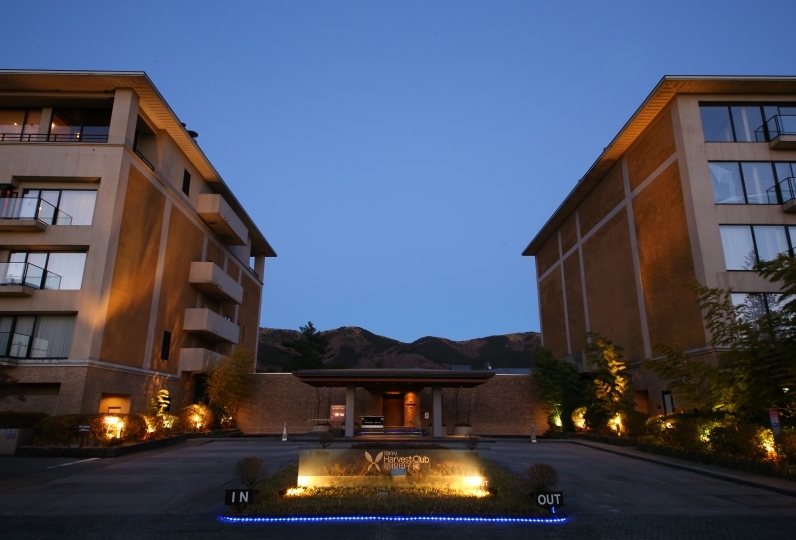 We offer complimentary entrance vouchers for the day trip onsen 「Yu no Sato」 to our guests. Carries items like Odawara kamaboko (fish cake), Hakone traditional crafts, and sweets. 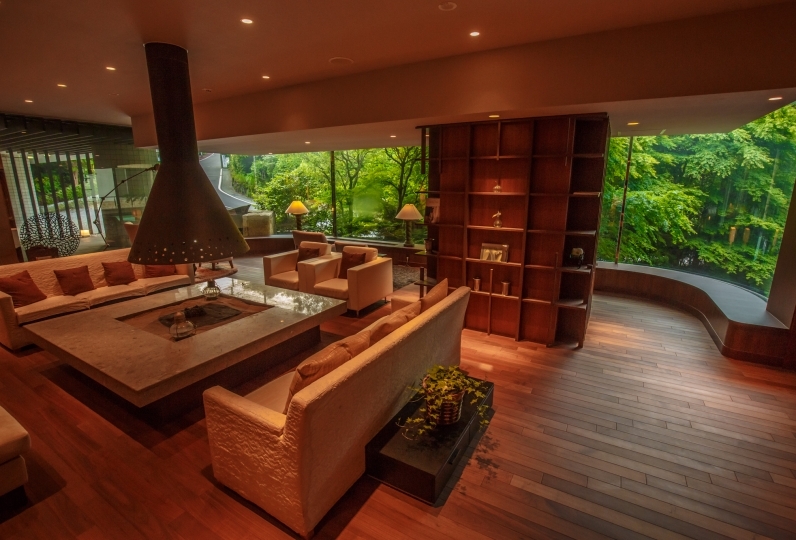 Listen to the sounds of the waterfall as you relax in this laid back lounge. Relax after the bath with some tea and tsukemono pickles. The staff of 「Miharashi Chaya」 awaits you in the hallway upon return from the bathhouse. Offering ramen, snacks, and an izakaya-style menu. Enjoy your after-party at our karaoke club. We also have a karaoke box room. "Soine" rate (free of charge) for children who occupy the same bed as an adult is limited to children between the ages of 0~2. For children staying under the soine rate, please enter "no" to both. 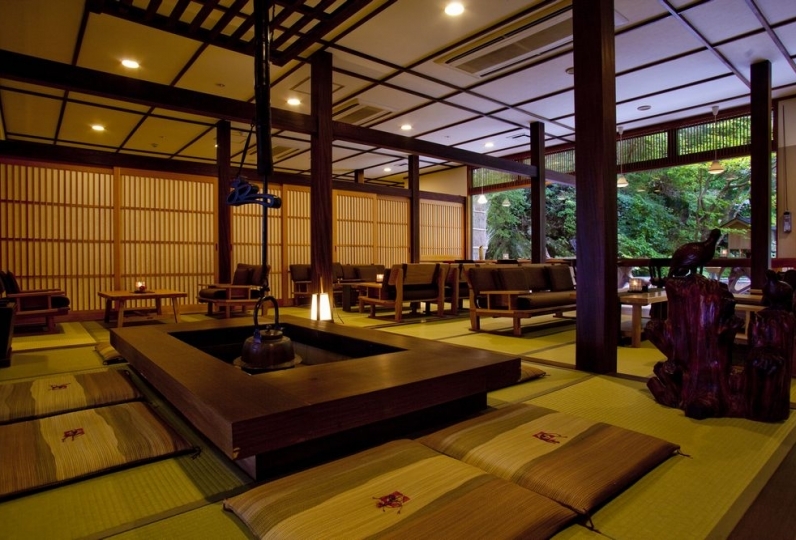 For children who stay for free, there will be no towel, yukata, or other amenities. If sleeping arrangements or towels and other amenities are needed, please enter "futon" only. For preschool age children from 3 and up, please enter yes to both (sleeping arrangement・meals) or meals only (no sleeping arrangement・meals). 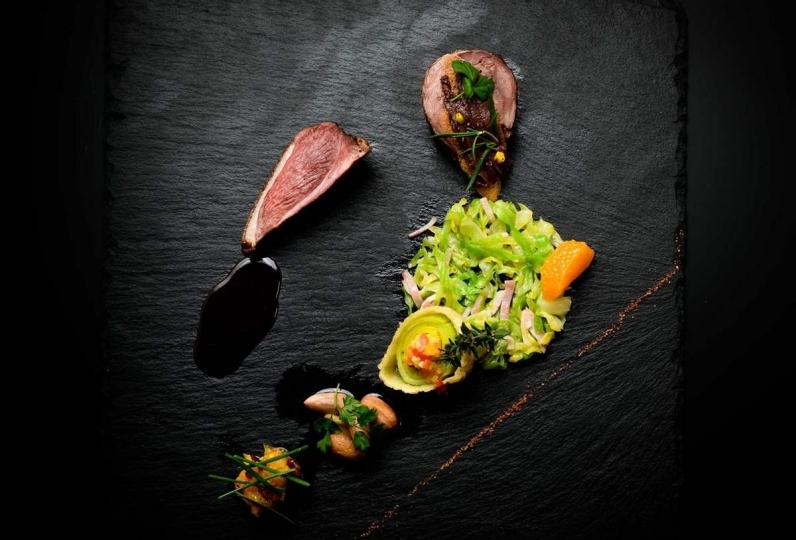 ※There are some plans that do not allow meal-only arrangements. ・Plans do not include bath use fee of ¥150. ・If you plan to arrive after 18:00, please contact the hotel. ※At Hakone-Yumoto Station, please get on the shuttle bus ｢Course A going towards Taki-dori｣ (adults: ¥100 one way/children: free). Follow the the passageway to the left of the ticket booth towards the bus terminal and look for the orange bus.